Looking for music activities for kids? 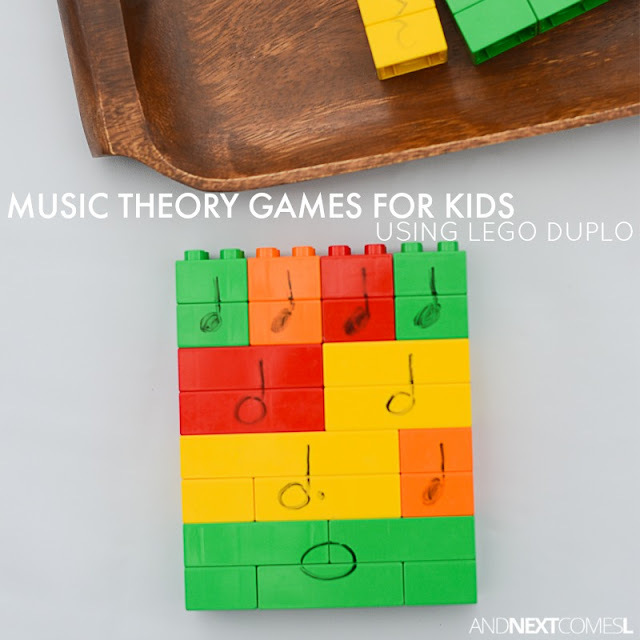 Then look no further than this fun music game for kids using LEGO. At the end of all my piano lessons, especially with my young beginners, I ditch the theory worksheets in favor of some hands-on music games for kids. Sometimes we play board games. Sometimes we use our feet on my giant floor piano. Sometimes we do other activities like these LEGO ones. The kids love these kind of music games. Especially the extra wiggly and fidgety kids who find sitting for 30 minutes difficult. 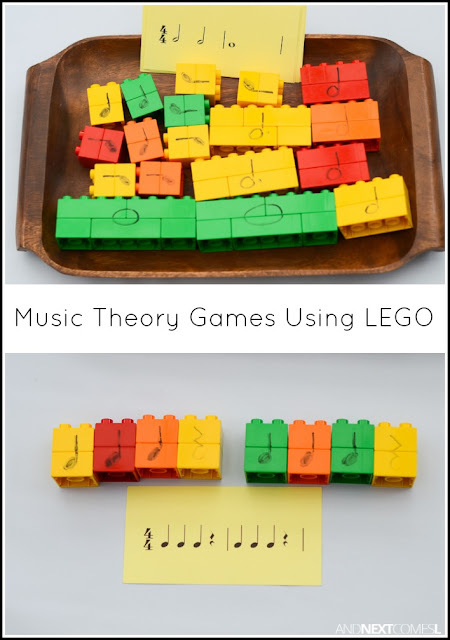 These LEGO music games for kids are perfect for beginning music students to work on a variety of music concepts and I will show you three of the ways that I use them in my lessons. These musical activities for kids are so simple and make learning music theory a bit more interesting and fun. They're a great way to explore note value, rhythm, composition, and more! My piano students enjoy these simple games and they're a much more effective way to learn music theory than boring worksheets and workbooks (although we still do those from time to time too! ).